Philadelphia, PA (November 23, 2014) – The sculptor Sarah Peoples has hired an airplane to fly over Lincoln Financial Field at 3:30pm before a Philadelphia Eagles home-game on December 7, 2014. The airplane will be dragging a large banner with red letters that will read Bread & Circuses. 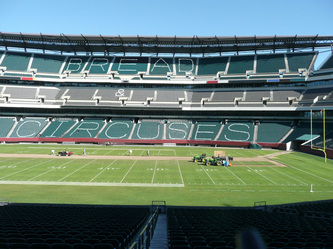 Bread & Circuses began in 2011 as a temporary, site-specific, sculpture that would have entailed tying 2,800 white helium-filled balloons to the seats of the Eagles’ stadium at Lincoln Financial Field in Philadelphia in order to spell-out the words Bread & Circuses -a phrase coined by the Roman poet Juvenal as a satirical assessment of the Roman government’s use of cheap food and entertainment as a means of distraction. 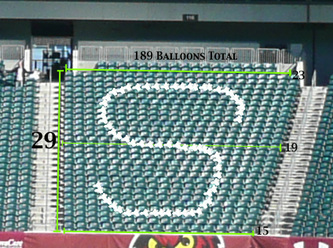 Peoples raised $2,847 on Kickstarter in November 2011, after gaining permission from the COO of the Eagles. Things went downhill when the project began to gain attention on websites, blogs and Twitter all whom, rightly, had their own interpretation of the term Bread & Circuses. As the Eagles heard these various interpretations they became extremely concerned about the potentially negative connotations of the phrase Bread & Circuses that could reflect poorly upon them and the giant work of art was shut down just days before the installation was scheduled to take place. Peoples notes the piece was never about the Eagles and/or the NFL. It was not a judgment, or even a comment, about either entity and it was only tangentially about the sport of football. However, in light of current events within the NFL - class action lawsuits from ex-players over head injuries, clumsy backpedaling from the mishandled punishment of various high profile domestic abuse cases, DEA surprise inspections of team’s medical staffs, and the list goes on - she has decided to finish this temporary site specific installation where it began: in the NFL’s territory. 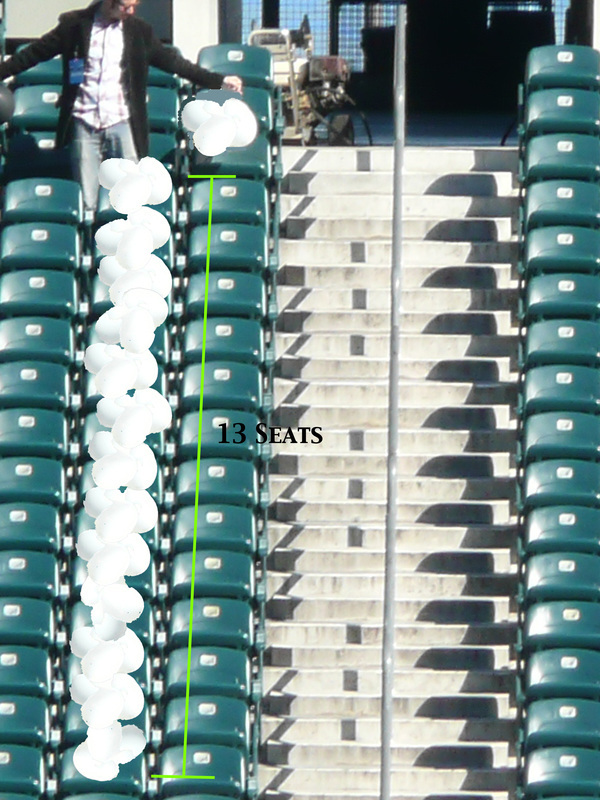 Bread & Circuses was a temporary, site-specific, sculpture that entailed tying 2,800 white helium-filled balloons to the seats or bleachers of a large arena or stadium (TBD) in order to spell-out the words Bread & Circuses. The colloquial term, Bread & Circuses, was intended to initiate a conversation about powerful emotions and forces such as nostalgia, patriotism, distraction, inertia, and, of course, spectacle. Contemporary American life is full of spectacle; we live in a theatrically charged world where pop-culture can interact with politics in a seamless, yet, oddly enough, rational manner. Just as it exists in our contemporary American culture, art and sports played an integral role in satisfying the intellectually and entertaining needs of a thriving Greco-Roman society. 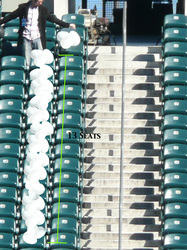 By staging this temporary installation in a stadium setting, the individual’s role in society would have been examined by the shear scale, scope and magnitude of the stadium. 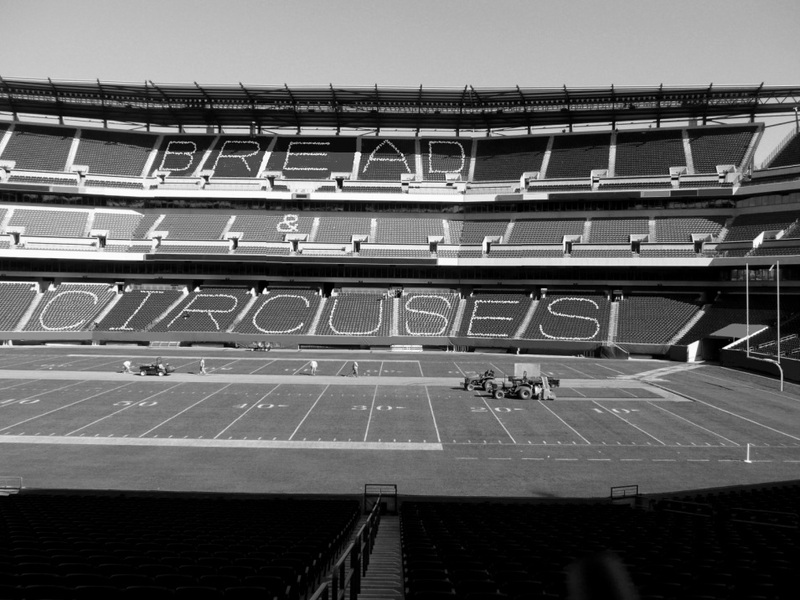 The term Bread & Circuses was coined by the Roman poet Juvenal as a satirical assessment of the Roman government’s use of gladiatorial sports as a means of distraction; but, in this context, I am using it to explore more general parallels between Ancient Rome and our contemporary American culture. The finished piece would have been a beautiful and poetic sight to see. It would have capture a moment in time, and, in a very basic way, it would have investigated the experiential nature of art and beauty.